Well, we did it! This crazy little family got on an airplane, flew across the country, and spent 2 weeks touring the Pacific Northwest– seeing the sites and much of our family that we had not seen in at least a year. I know there are scads of articles from well-seasoned travel families, but these are the tips that kept us sane and mostly happy and giggling. These tips will focus mainly on the trip once you have arrived at your destination. 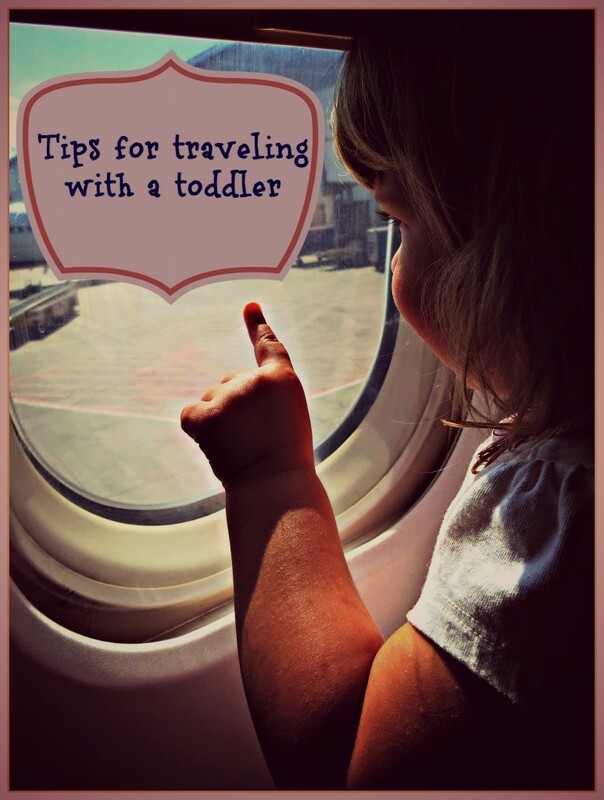 For great tips on flying and/or driving long distances with a toddler, click here and here respectively. Let’s get started! – Breakfast was included. No, the breakfast served was not gourmet. It was pretty standard actually. However, it was complementary and included a number of healthy/kid-friendly options such as fresh fruit, eggs, waffles, juice, and cereal. – Free Wi-Fi. I think this is pretty standard across the major chains now. However, if the hotel you are considering does not offer Wi-Fi you may want to look elsewhere. Free Wi-Fi is also convenient when your young one insists on watching the same episode of Curious George over and over and over again. – Request a room with a bathtub. All of the major chains have rooms with bathtubs but not all of the rooms in the hotel will be equipped with a bathtub. We learned this lesson the hard way and had to get creative with bathing Sweet Pea. – Rooms tend to be relatively spacious. This is important if you toddler is not yet in a big girl/boy bed. You will want room to put a crib or cot. Actually, many of these hotel chains will set up a port-a-crib in your room if you request it in advance. 2. As a matter of fact, if your kiddo hasn’t transitioned to a full-size bed, I would highly recommend packing a portable bed. We purchased a Regalo My Cot Portable Bed and absolutely loved it. This cot easily fits inside half a regular-size suitcase and is very lightweight (6 lbs). Sweet Pea already had experience with cots through school, so it was an easy transition for her to fall asleep with this cot. 3. Try to keep as much of your at-home going to bed routine as possible. Bring a few of your toddlers’ favorite books, a favorite blanket and stuffed animal. Really, anything to relax your toddler because trust me, being in a new environment will be very stimulating for them. You will need all the help you can get. You might also consider either bringing a white noise machine or downloading a white noise app on your smartphone. 4. Let’s face it, even a relaxing vacation to the beach will be at least nominally disruptive to a toddler’s routine. Since toddlers and young children thrive on routine, it is important to make an effort to establish a temporary routine as much as possible for your children while on travel. 5. Try to keep a regular nap time. Even if that nap is in the car as you are driving from point A to point B, it is important to give young children an opportunity to shut down in the middle of the day. 6. Try to keep meal and snacks at regular intervals. Seriously. The quickest way to ensure a major toddler meltdown is to expect your young child to go a long time without food. Having said that, it isn’t always possible to sit down at noon for lunch and 5pm for dinner when you are in an unfamiliar area. This is where snacks come to the rescue. Make sure you have a stash of snacks your kids like to eat but are relatively healthy (applesauce packets, string cheese, etc…). 7. Resist the urge to over schedule. The days of sightseeing from breakfast until past dinner are over. A toddler just can’t take that much activity. They will either be exhausted and cranky or overstimulated and cranky– or both. Instead, make a tentative travel schedule, and then take one activity a day off the schedule. Some days you will be able to do more than others. Just remember, your toddler’s stamina will not be as great as yours. 8. Along those same lines, try to plan at least one major activity a day that is all about your kids. This sounds like a no-brainer but it is much easier to do when kids are over the age of 4 or 5 because they will tell you what they want. For kids who are age 3 and under, you will really have to think about what will be fun from their perspective. Maybe that is a trip to a zoo, aquarium, or children’s museum. Maybe that is a short hike or a few hours at the beach. However, even if you can find a playground or tot lot and let them burn some energy, you will be a hero in their minds. 9. Let your toddler ease into new situations. The entire trip will be new situations: new places, new people, new food. Just be aware that each new situation will require a period of adjustment. 10. Dual-use toys are your friends! Remember all those toys you brought on the airplane? Well, they could be the link between sanity and holy terror during the rest of the vacation. Dole them out a second time or trot them out during critical transition times like getting ready in the morning, waiting for food at a restaurant, or yet another mini-road trip. 11. Your toddler will meltdown. This will happen. It is actually possible that your toddler will meltdown every day (that happened to us). So, what do you do? What did we do? Roll with it. Accept that travel is hard on your little one and that uncertainty, overstimulation, and exhaustion will pop out somewhere. It was during Sweet Pea’s meltdowns that we resorted to the nuclear option: iPad games. Yep, even at her most distraught, Pepi Doctor and Endless Alphabet could save the mood… and save the day. Phew! 12. Baby gets sick? Yep, that happened too. Honestly, if you are traveling in the continental United States, there is most likely an Urgent Care clinic relatively close to your hotel. I believe most major health insurance plans will cover visits to an urgent care clinic and these clinics tend to be faster to see and treat your toddler than the ER. We spent a few hours at a clinic and walked away with antibiotics for a new ear infection. Time very well spent. 13. Relax your rules a little bit? Hey, you are on vacation, right? If you can’t relax your rules on vacation a little, why not? If your best laid plans are spinning out of control, maybe a little more screen time or breakfast for dinner is just the kind of out of ordinary your trip needs to keep your toddler from spinning out of control. Traveling with a toddler can be a nightmare but most likely you are going to have a fantastic time seeing the world through your precious one’s eyes. Hopefully, these tips will help your trip be more of the fun and less of the crazy.